ReadyRoll has some great features, including the ability to use without cost on a build server. If you want to ease setup on multiple build servers you could create a simple command line install step against the EXE. 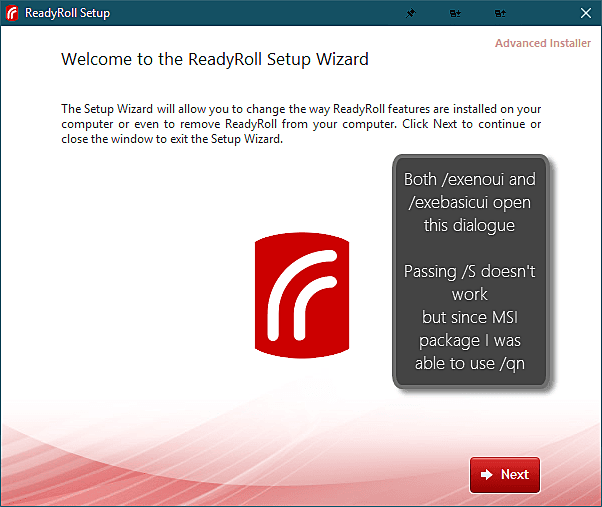 ReadyRoll was recently acquired by Redgate, so the installer options may change in the future to be more inline with the standard Redgate installer. For now, this is a way to automate an install/updates. Run ReadyRoll.msi /exenoui /qn for a silent install. Does sp_rename on a column preserve the ms_description?